GAZ-51 Custom: Russians Make A Cadillac Escalade EXT Hot! An enterprising Russian tuner shop laid to waste the body of a Cadillac Escalade EXT, replacing it with a very custom GAZ-51-inspired pickup body. Commence "In Soviet Russia" jokes... now! This as-yet-unfinished GAZ-51 Custom is close to completion and was built by a company called Grande-Garage in Russia. 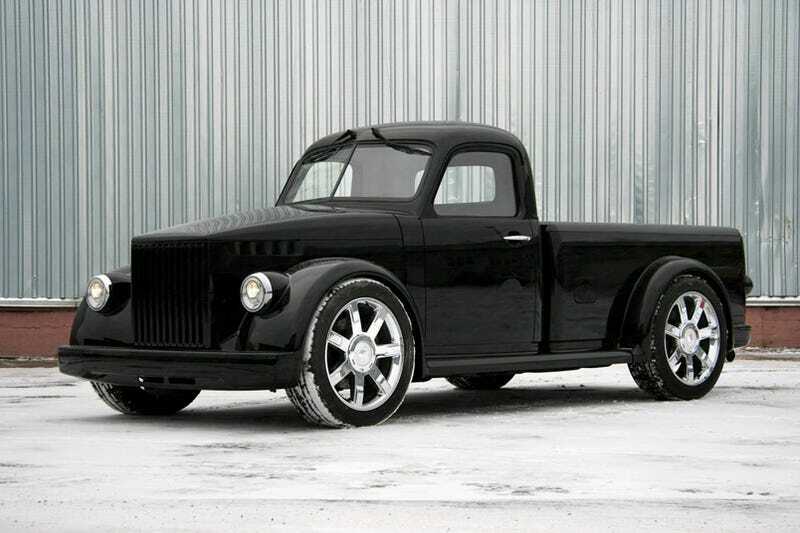 Little is actually known about the truck other than they took a Cadillac Escalade EXT and stripped it of its bodywork to create this one-off supposedly for a Russian tycoon with too much money on his hands. We love the outcome and can't wait to see the final truck, but until then, check out our galleries below of the killer GAZ-51 Custom build process.